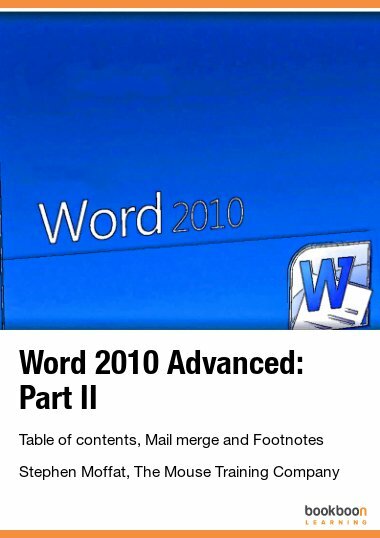 PowerPoint 2007: Part II is one of the great eBooks available to download from our website. Microsoft PowerPoint is a powerful software application which allows the user to create sophisticated presentations which can be used for everything from educational lectures and team briefings to business meetings and interactive on-screen product demonstrations. This two part e-book user’s manual covers all the topics which would be discussed in an introductory PowerPoint training course and provides useful reference support for anyone creating presentations on a daily basis. It is available as a free download here. Part II of this user’s manual begins with explanations of slide types, layouts, themes, and color schemes. It explains the difference between masters and basic slides, as well as how to effectively create default formatting for masters. Also discussed are transition and animation effects, which can create movement, excitement, and impact within a presentation. Lastly, the manual offers useful pointers for rehearing and running a slideshow. Full color diagrams and screen-shots are included alongside textual descriptions for easy reference. Users who want an introduction to PowerPoint fundamentals should refer to the free PowerPoint 2007: Part I e-book, also available on bookboon.com.